Landrover had an underwhelming rollout with their first version of the Freelander which was apparently lacking in the quintessential Land Rover abilities to bring city folk off the beaten path. While the Freelander 2 was an immediate remedy for it’s under par predecessor, it has steadily improved over the years from it’s first unveiling. 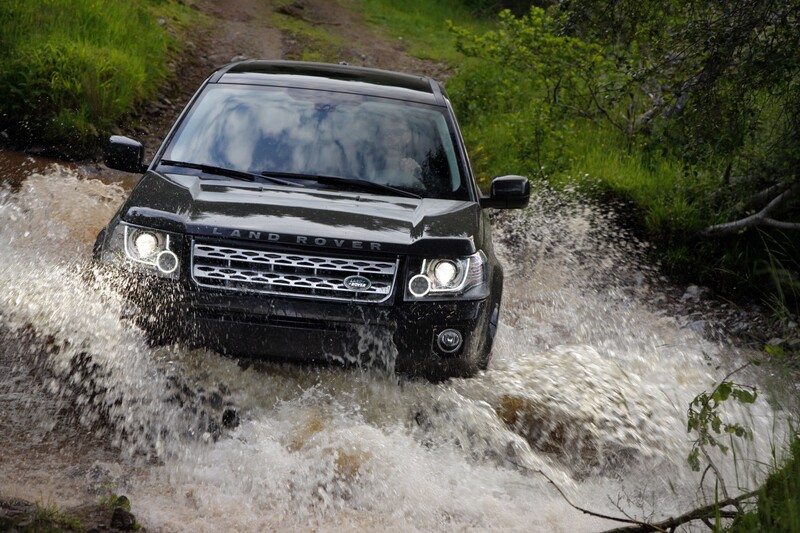 Most importantly, it doesn’t resemble the first Freelander, and it does handle off-road conditions. Let’s have a closer look. In terms of cabin space, the Freelander 2 has increased legroom and height as well as boot space, which is still relatively small for a vehicle of its size. Better for packing people than bags. The original 6 cylinder engine has also seen its share of variations. It was later replaced with a 2.0 L turbo and 2.2L turbo diesel engine, making 171kW. The diesel was the more popular option as it provided more handling power true to the name of Range Rover. The six-speed automatic was joined by a manual option in 2011 to cater to the more technical, hands on drivers that enjoy adventure. Eventually, the petrol chewing 6-cylinder was replaced for a more economical four-cylinder, which we see in the Freelander 2 today. While Freelander 2 owners were generally enthusiastic about it’s handling abilities, this Rover wasn’t made to be the most durable off-road vehicle. If you’re buying or selling a Landrover Freelander 2, it’s important to be aware of possible wear and tear under the car and on the body from more aggressive off-road driving. As a reflection of the seven versions and various specifications offered in the Freelander 2, prices vary widely from an entry-level $28,710 up to $56,100. It can get a little complicated sifting through all of the options so we’ve done our best to break it down into TD4’s, Si4’s, and SD4’s with engine options and corresponding price ranges. If you are selling a Landrover Freelander 2 you can also get in touch with areyouselling.com.au and we’ll walk you through the car selling process. The lower range TD4’s offer both manual and automatic variations, unlike the upper level options. They are all 2.2L, 6-speed, diesel engines. TDA automatic ranges from $30,360 to $36,520. TD4 SE automatic ranges from $35,750 to $42,570. The Si4 SE mid range is a 4×4 6-speed auto with a 2.0 L PULP engine and ranges from $38,720 to $45,540. The SD4 top-range comes as 2.2L Diesel engines with 6-speed automatic transmission and vary between the HSE, the HSE Luxury and the SE. SE ranges from $37,840 to $44,550 depending on specs. HSE ranges from $45,540 to $59,910. When it comes to features, Landrover is the absolute champion for base-level inclusions. The list goes on and on but we’ll highlight the basics so you can get a feel for what is on offer with these luxury cars. The entry-level cars include, but are not limited to: 19-inch alloy wheels, body coloured exterior door handles and mirrors and wood grain trim, tilt and telescope steering wheel, automatic climate control with dust and pollen filters, multifunctional centre console and additional cup holders, 12 Volt power outlet, leather steering wheel and seats, 11-speaker sound system, and xenon headlight. It also has all contemporary control screen features with various audio and phone connectivity. The Luxury HSE SD4 also comes with a 17-speaker option and an anti-theft alarm system. Along with a crucial 5-star ANCAP rating, the Freelander has as many, if not more, safety features than it does specs. For the average driver this is important but not top priority, but Landrover drivers need to know their vehicle can take them wherever they need to go, no matter the conditions. Some of the most impressive safety features are included below and reflect even base level options. With a Freelander 2 you can expect to enjoy: Brake assist, corner control and anti-lock braking, cruise control, exterior mirrors with heating, tilt on reverse and puddle lighting, dusk sensing headlights. Dual front and head airbags as well as driver knee bags, hill descent control, headlight wiper system, parking distance control in front and rear, power steering, windows and mirrors, auto dimming of the rear view mirror, full-size alloy spare wheel, vehicle trailer stability control and traction control system as well as a tool box! While emission ratings vary between various models, manual or automatic, and overall driving conditions, the Freelander 2 emission standards are reported to be roughly 7.7L/100km. This is an impressive achievement for a car of this caliber and is due to efficiency improvements in the more recent models. Warranty is a standard 3-year and slightly substandard 100,000 kms. Pros: Attractive & Comfortable, able to handle most off-road conditions. Excellent base-level safety features. Cons: Small boot for the size of the vehicle and expensive even at mid-level options.